If you’re headed to Oahu with kids, the Go Oahu card is a pretty safe bet. You’ll probably want to hit the major tourist attractions, and this card covers almost all of them. From museums and scenic spots to snorkeling and sailing, the card covers just about every option. My favorite activity from the card was the Makani Catamaran sail. 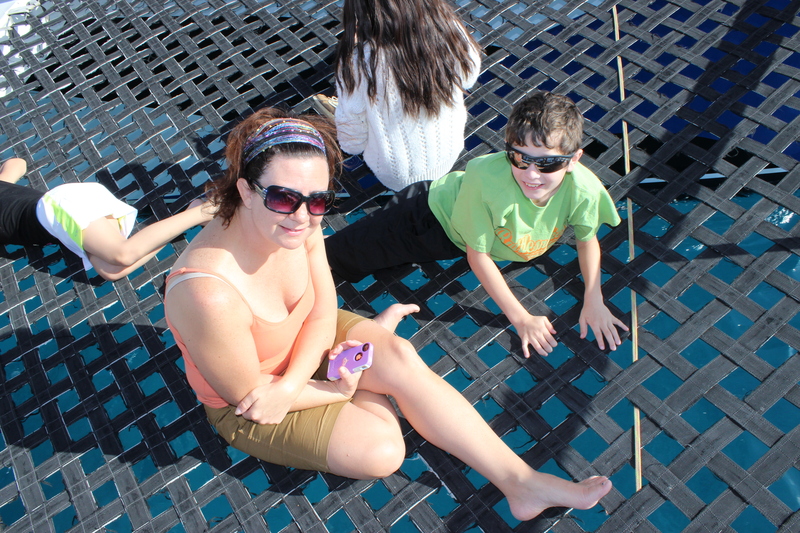 We chose a morning sail and had no problem finding the catamaran. The crew had their system down and it was a fabulous morning of sailing. We had donuts and fresh fruit, drinks and plenty of warm Hawaiian breezes. I was more than happy to just be out on the water, sunning myself on the netted area, but we were also treated to sea turtles, flying fish and in the distance, a whale blowing a friendly spout of a salute. We did attempt to do a kayak and snorkel trip but once we arrived at the location, we were told that they had just discontinued their alliance with the card. Sadly, we were there at the beginning of the year so we were caught in the changeover. Looking at the site now, it looks like they’ve replaced it with a new activity. My advice? Always call first to avoid disappointment later. 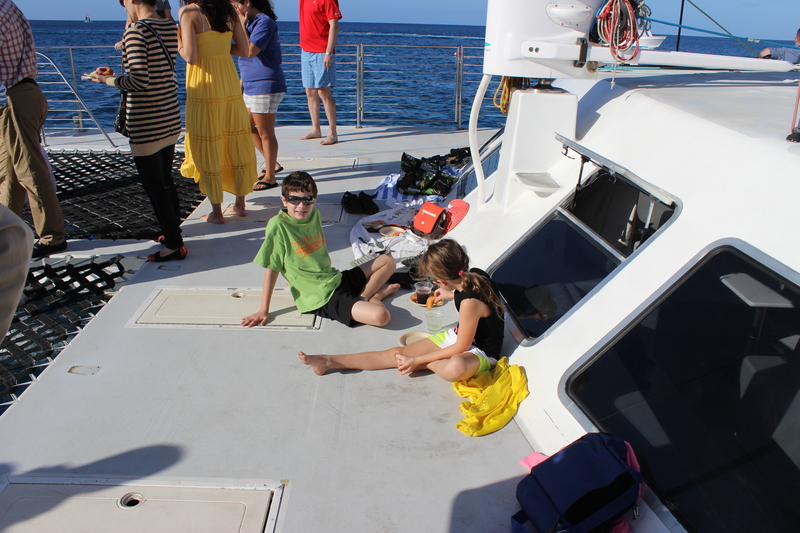 We learned our lesson and called ahead for the Hanauma Bay Snorkel. Unfortunately, they were already sold out for the day that we could attend. From others we met on the island, we were told repeatedly that it was a great place to go for snorkeling, and great for kids because of the calmer waters. 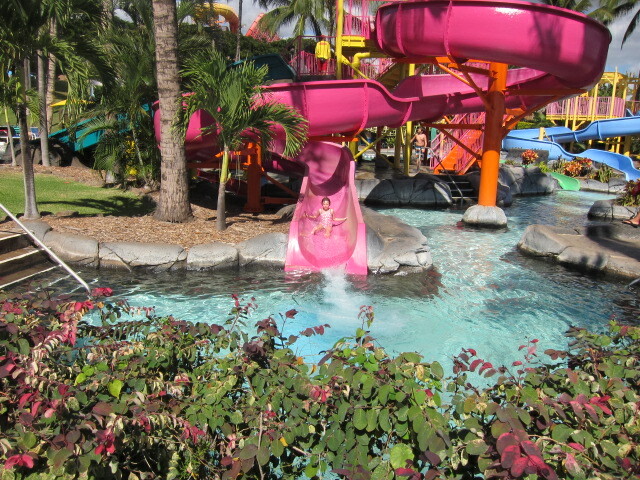 Another place we experienced was Wet ‘N Wild Hawaii, Oahu’s waterpark. It was the off-season so a few of the rides traded off at different times of the day, but we had fun trying to surf, battling the waves in the wave pool and getting adventurous on the water slides. If we had more time, we would’ve definitely taken advantage of more activities. As an investment, the Go Card gives you a lot of great options. Disclosure: My family received Go Oahu cards as part of my husband’s work trip. This review is my own opinion and was not a requirement of using the cards.